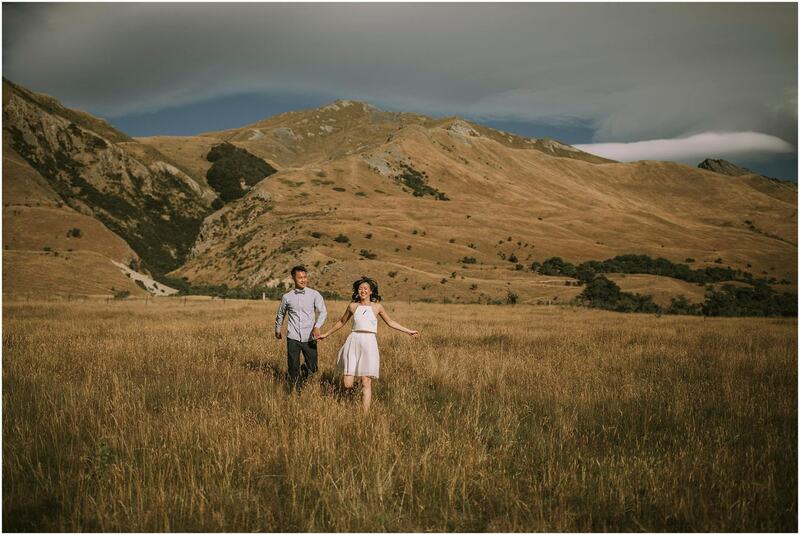 Kristen and Jeff came from Auckland for a couple session with me. 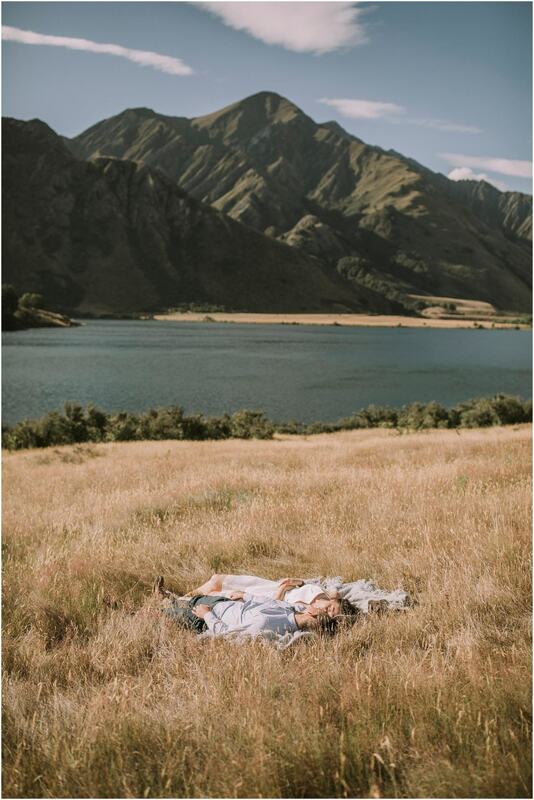 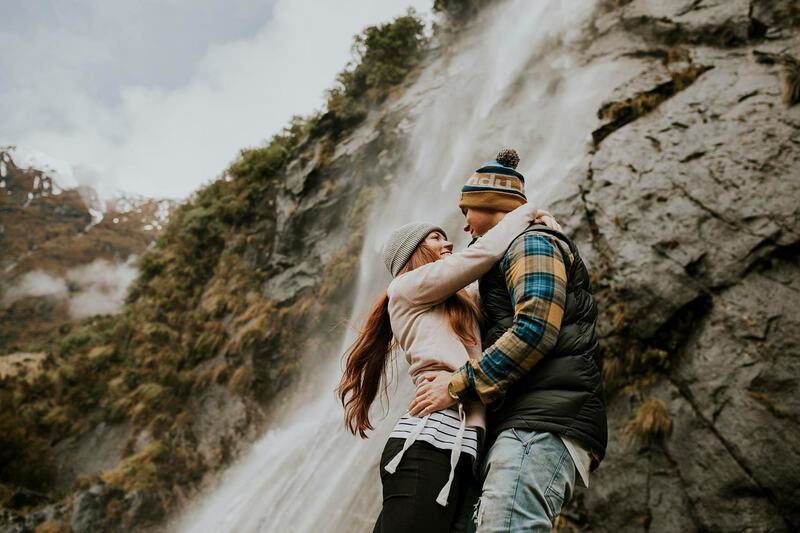 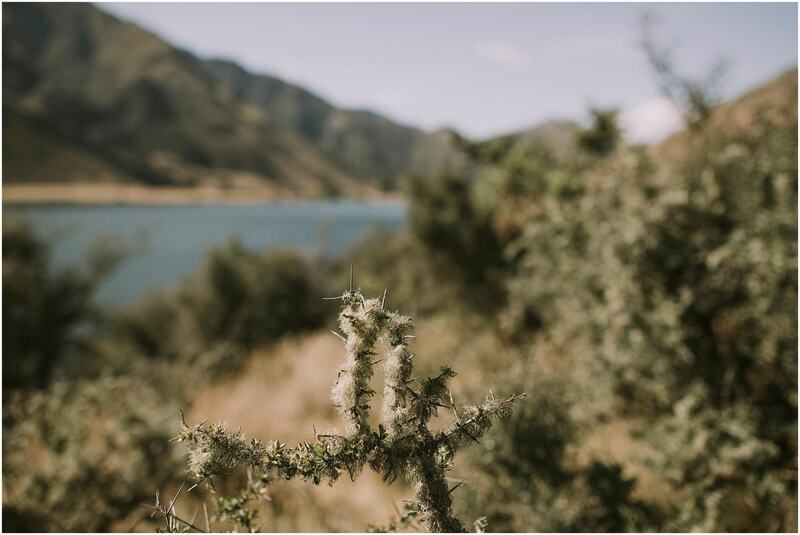 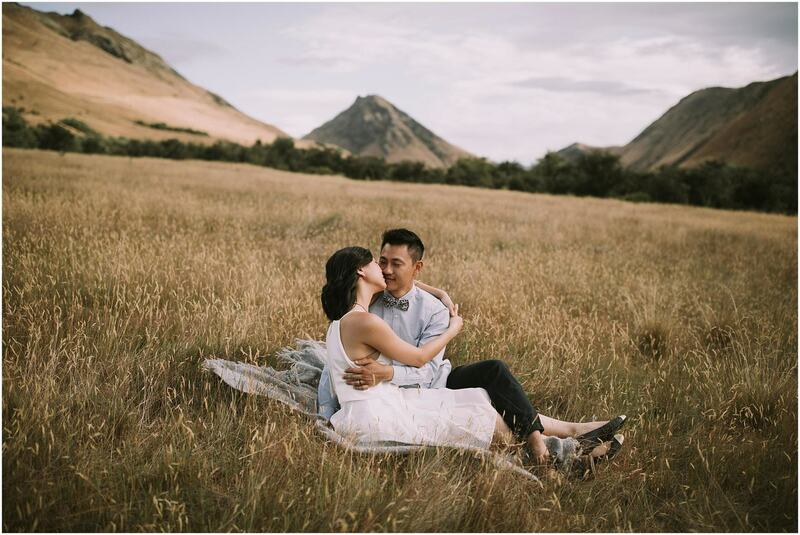 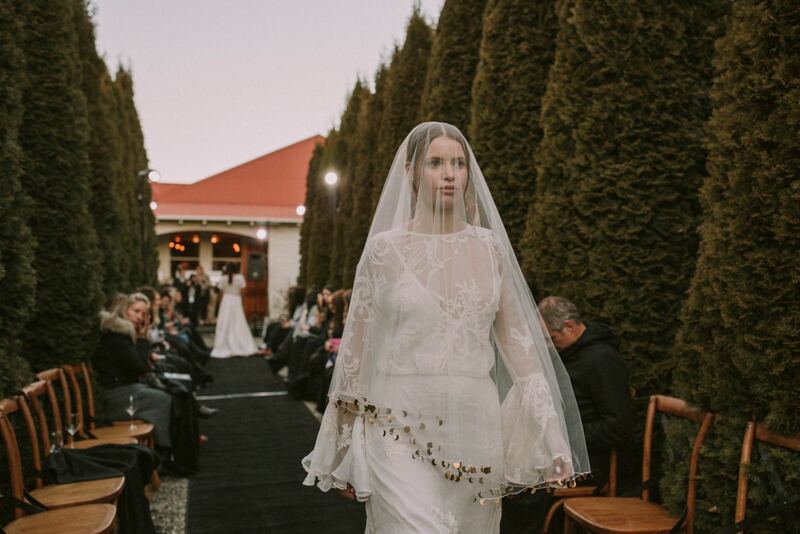 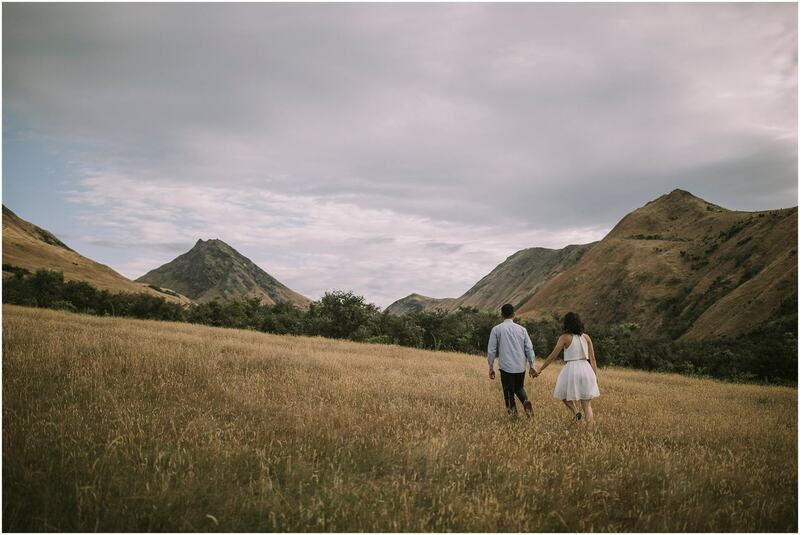 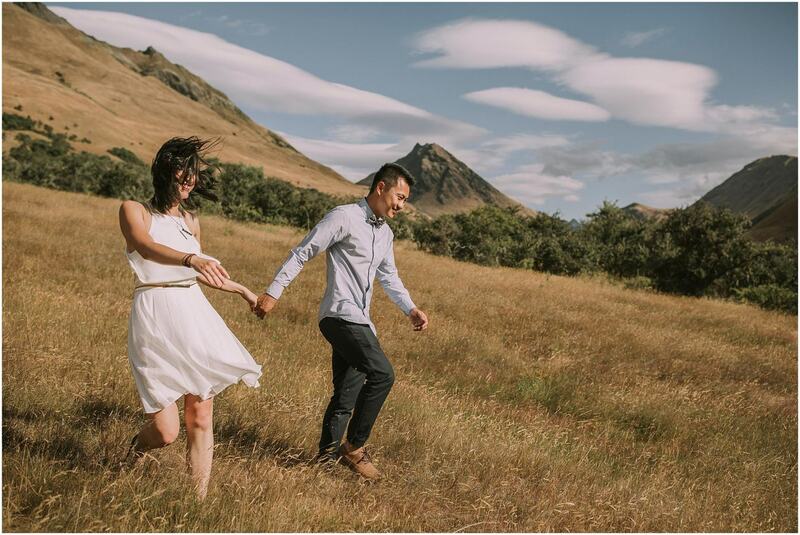 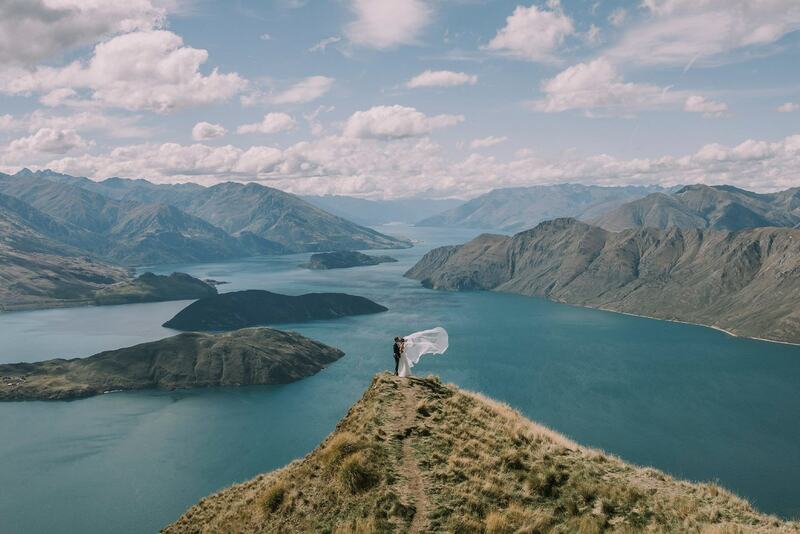 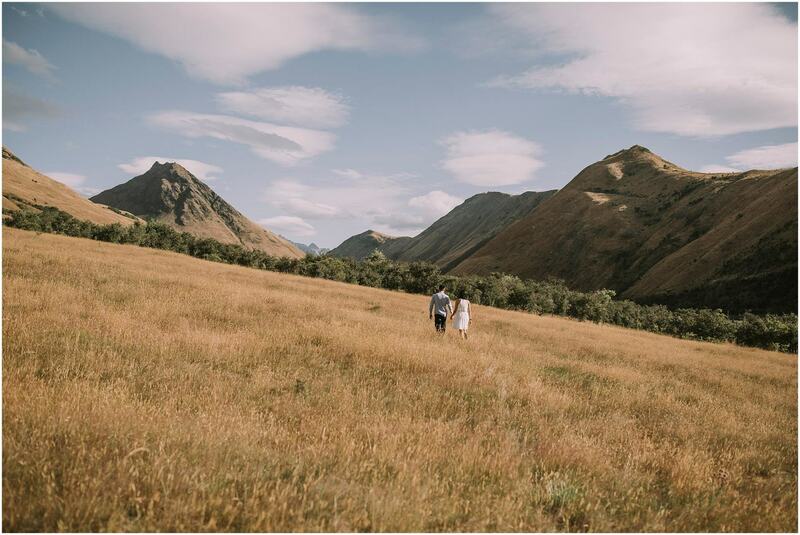 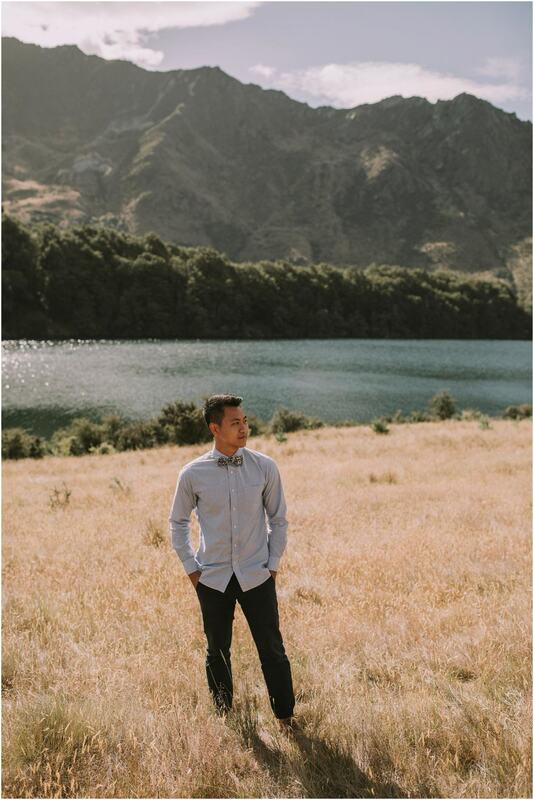 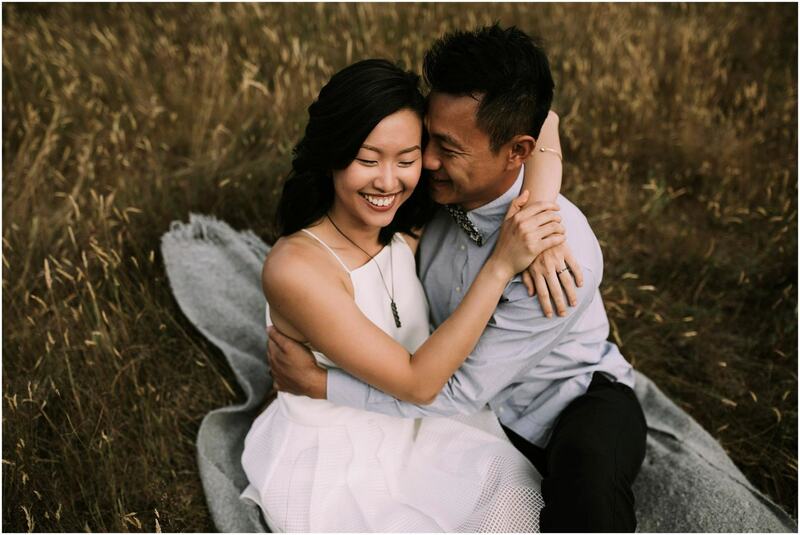 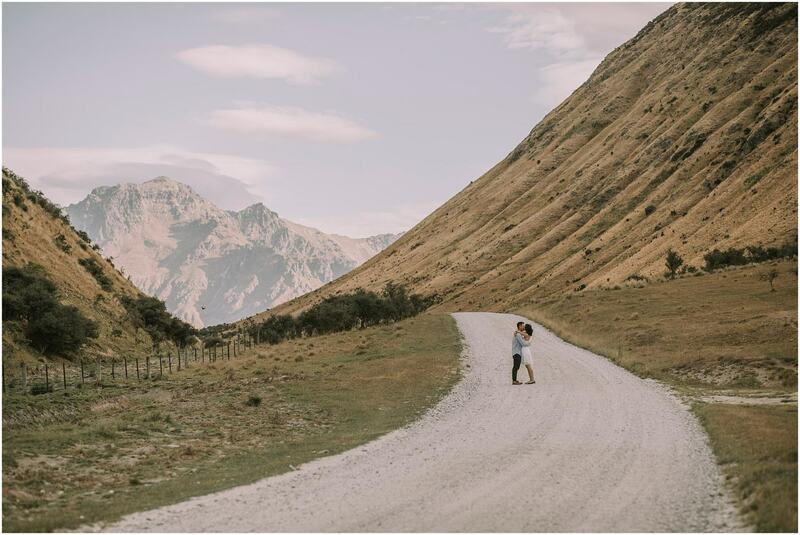 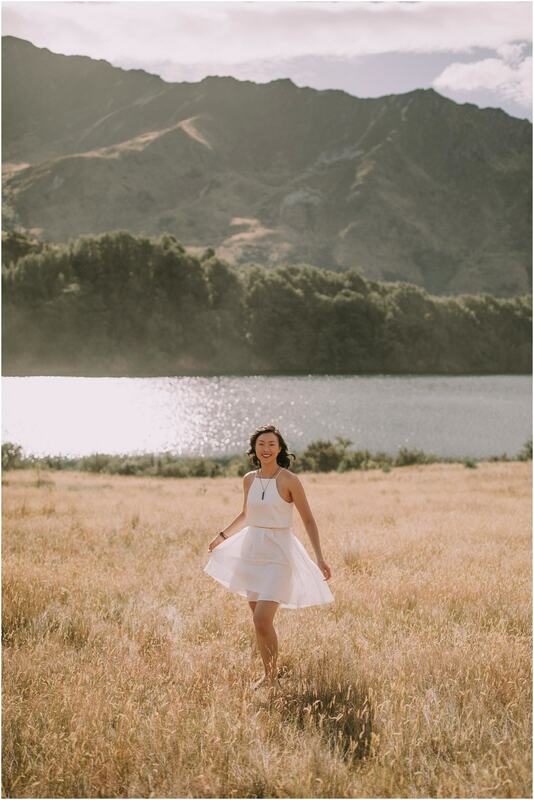 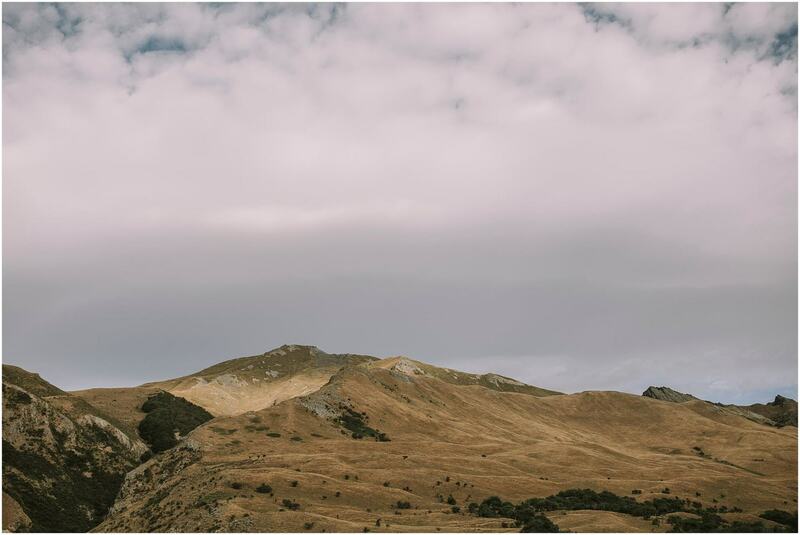 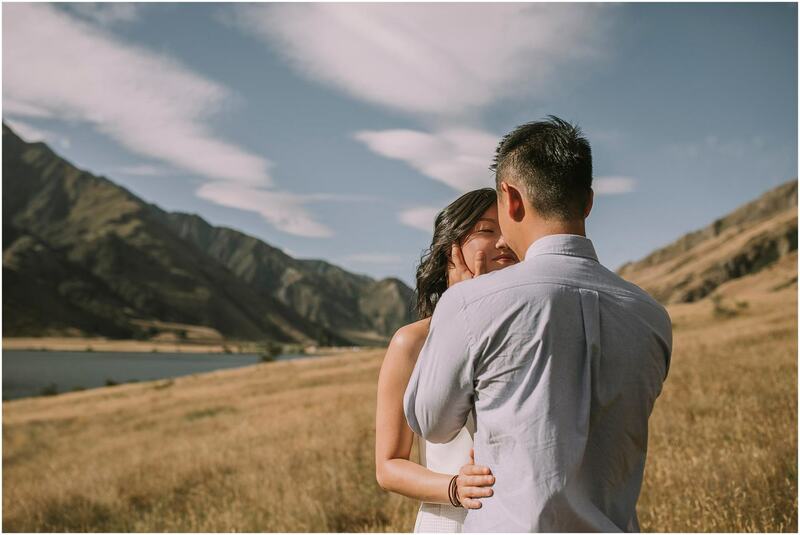 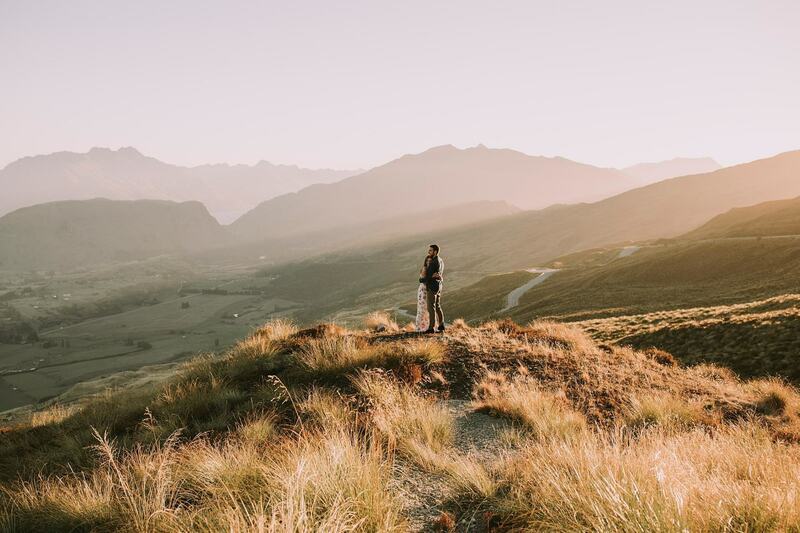 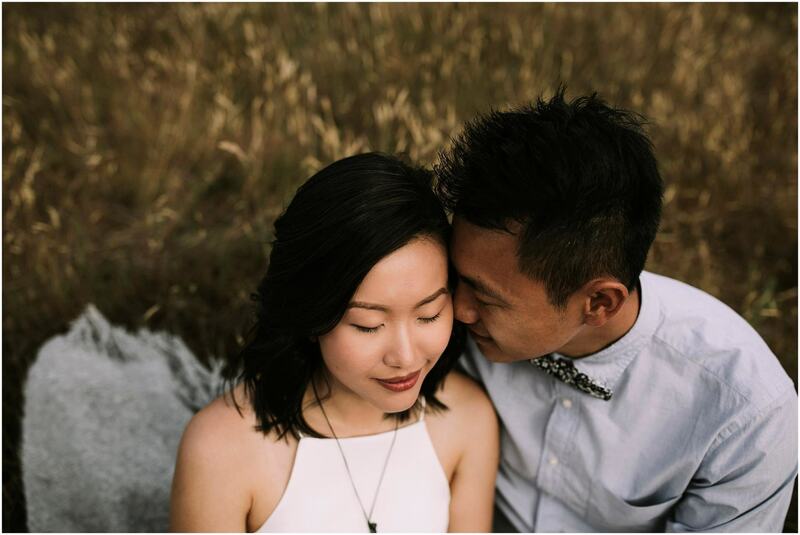 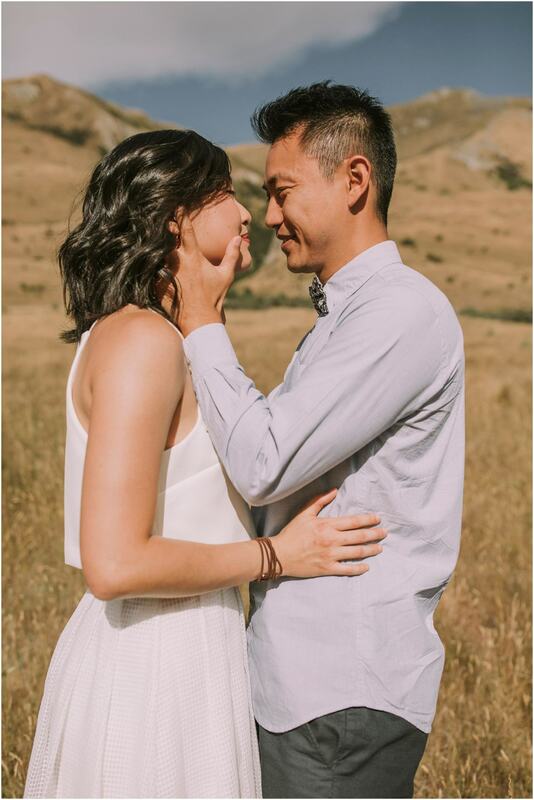 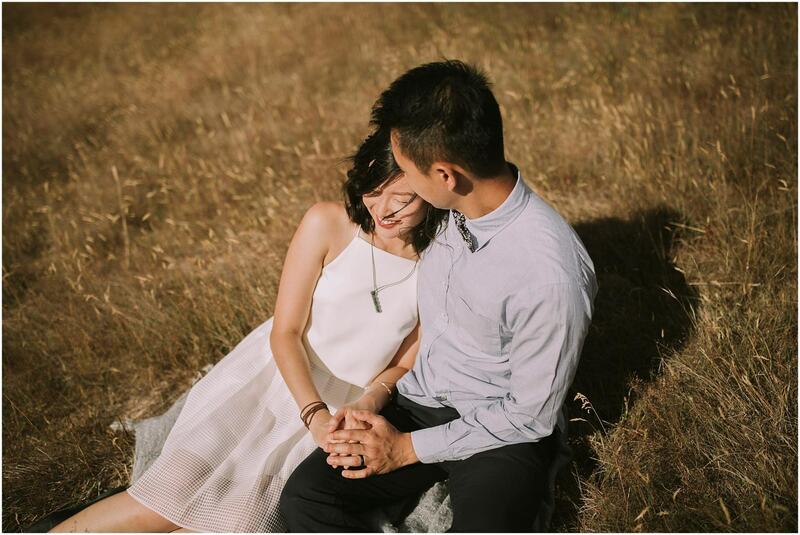 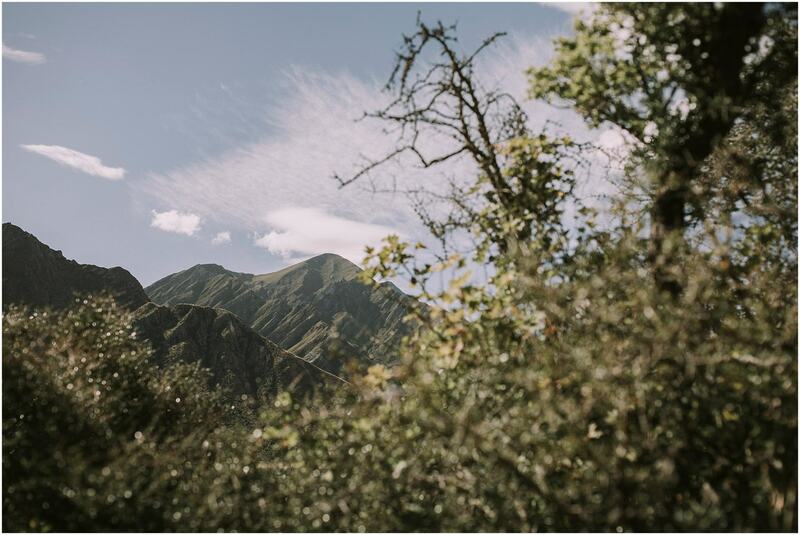 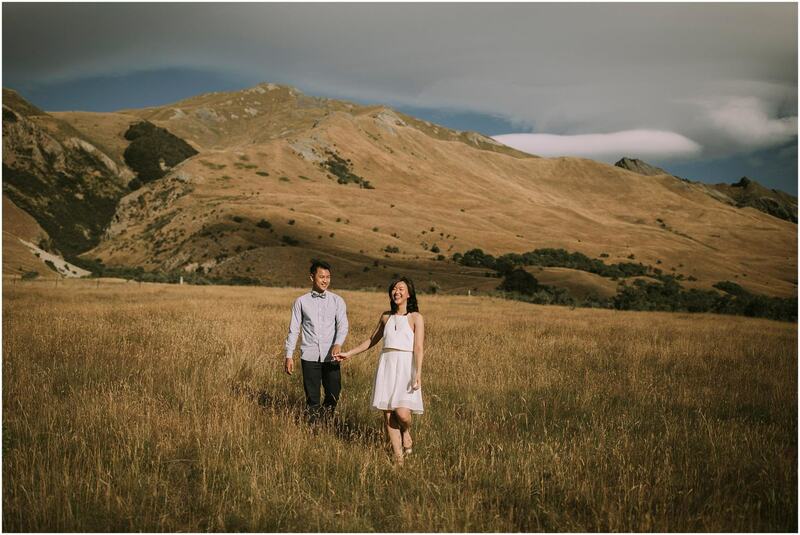 They have been married two years and Jeff is a wedding videographer in Auckland, so they let me loose with creative ideas and we had so much fun laughing pretty much non stop for 2 hours at Moke Lake! 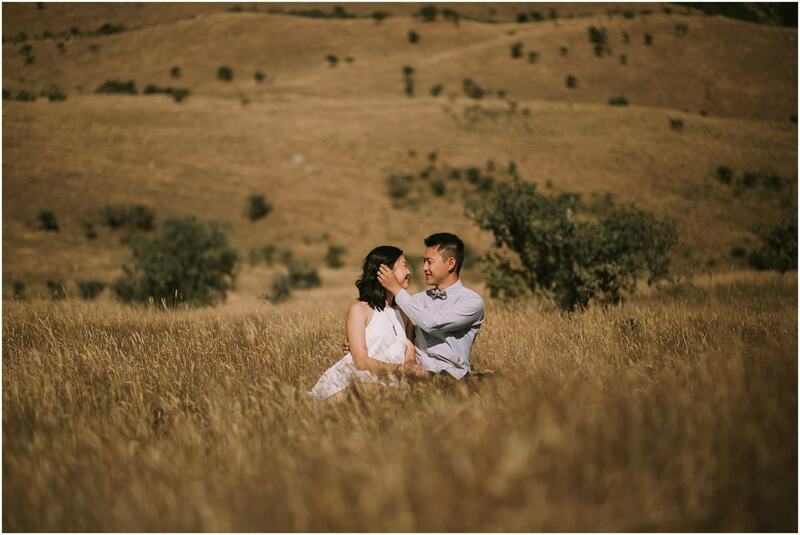 It was a hot hot day over 30 degrees and even though I think we were all a tad hot, but they were running through long grass and having so much fun we soon forgot about the heat! 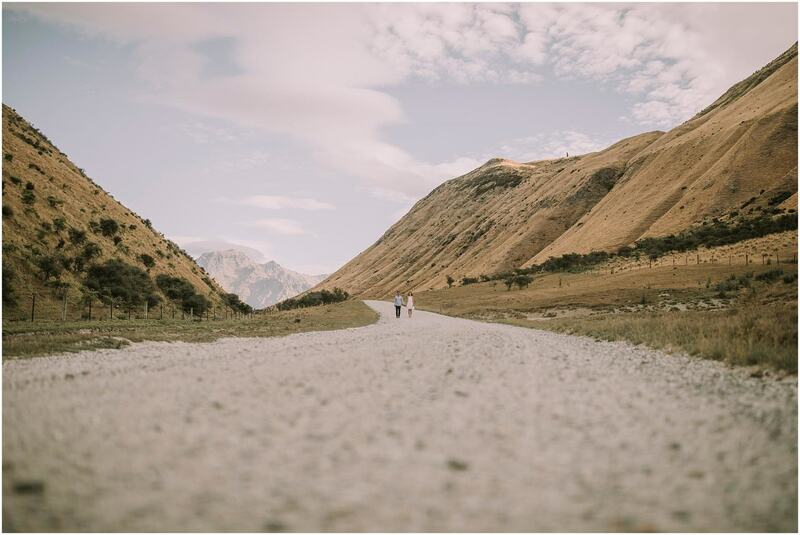 It was pretty neat looking back at the pic of the road when I was editing can you spy the wee photo bomber hawk in the shot?? 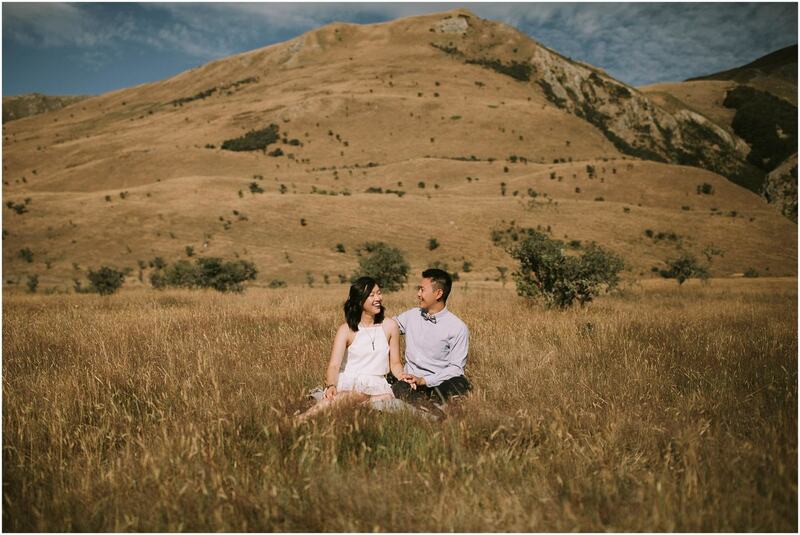 “We’ve had a look at the photos and absolutely love them, thanks so much. 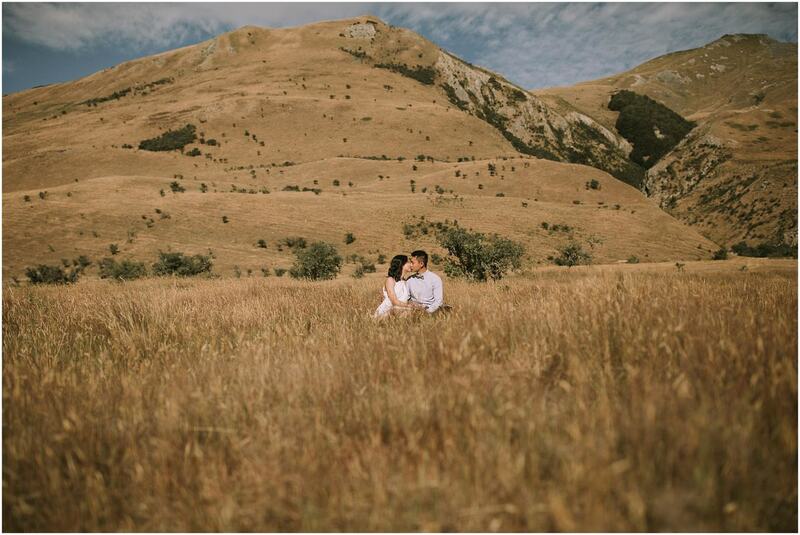 We couldn’t have picked a better photographer! 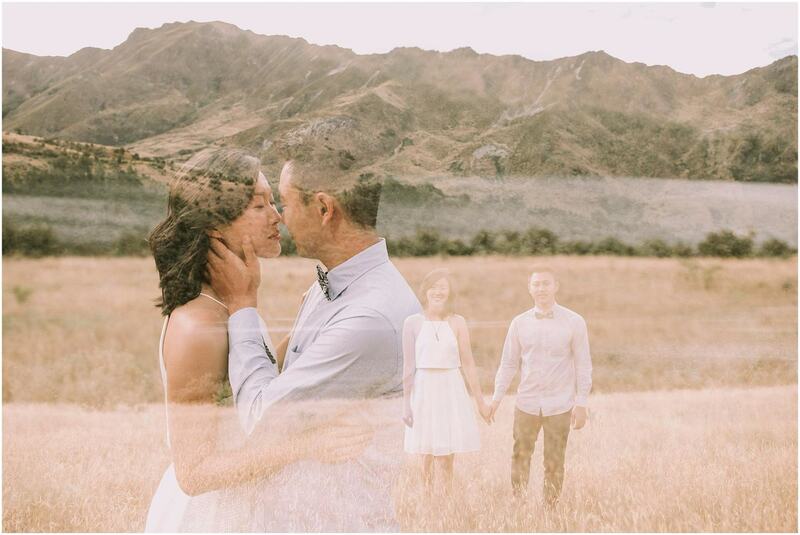 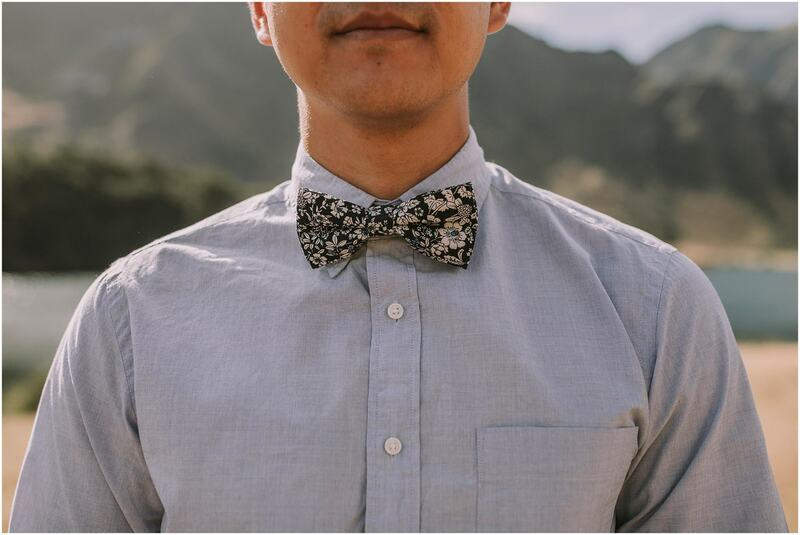 We would hands down get you as our wedding photographer if we could do it all over again. 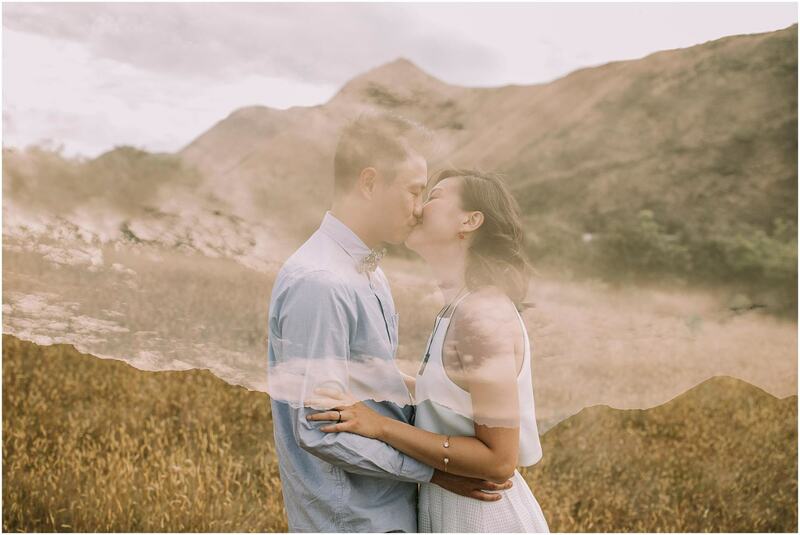 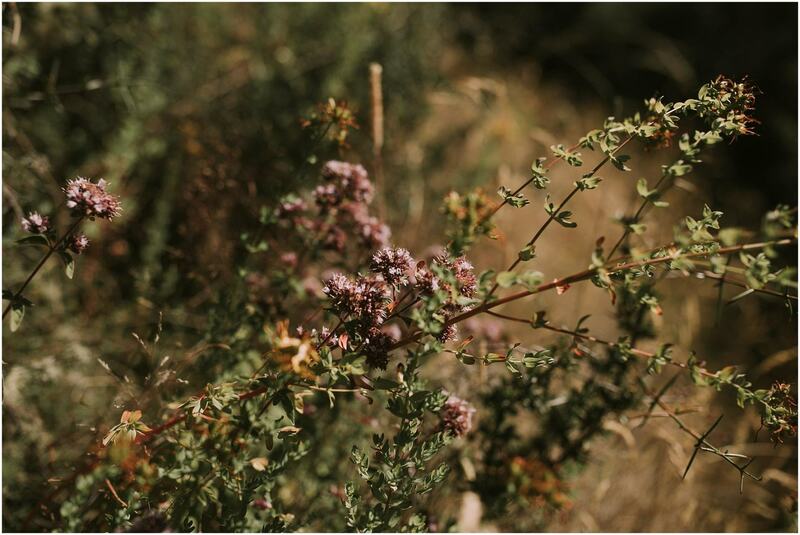 Thank you for the gorgeous photos :),” Jeff & Kristen.